This high-functioning BB Cream works as a sun block, primer, foundation and skincare. One can expect to achieve glowy, pore-less, plump skin that’s long wearing with continuous moisture. The coverage is light to medium, making it ideal for daily usage, but you’ll still need concealers for major blemishes. 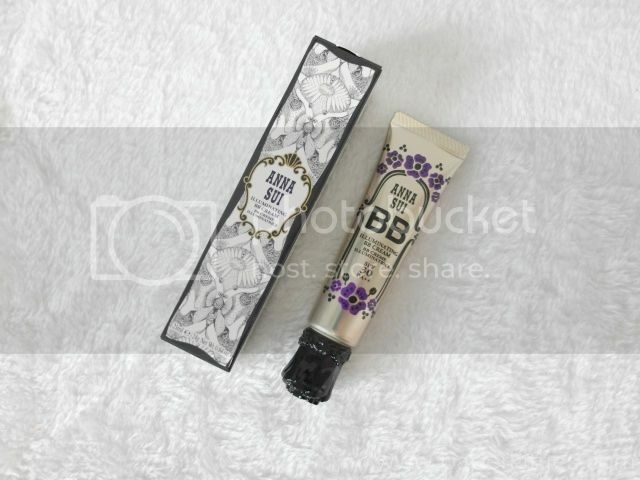 Anna Sui Illuminating BB Cream comes in 2 shades: 01 light beige and 02 medium beige, I’m using the latter as seen above. The honey-like texture feels rich and moisturising, yet easily glides on my skin, leaving me with dewy, pore-less skin. Due to its rich texture, I was initially concerned that this BB cream will be too much for my oily skin in this humid weather but thank goodness my worries were for naught. It stays put the entire day without streaking, and even survived my mookata feast.. I’m impressed! 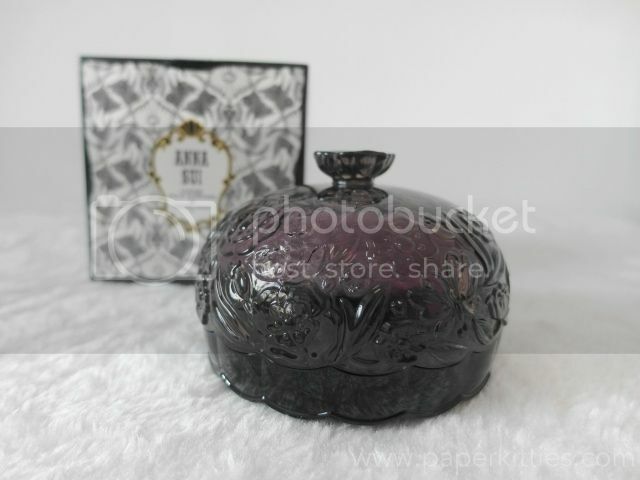 And here comes my favourite Anna Sui product: loose face powder! 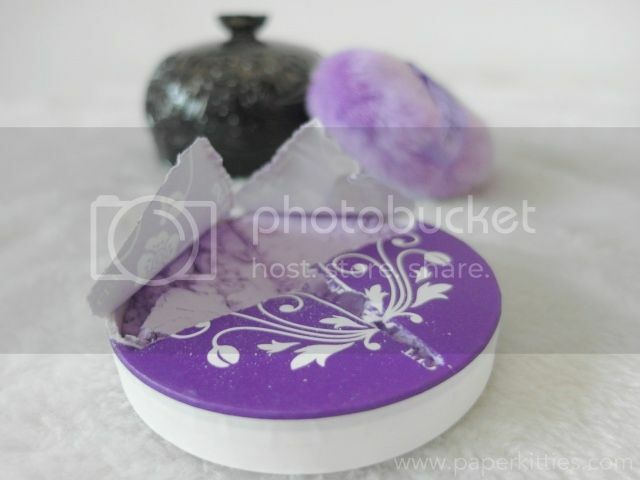 Anna Sui’s loose powders are always so finely milled to keep my shine at bay without looking powdery/ dry at all. This face powder uses the trick of light to leave skin looking pore-less and flawless, basically the finishing trick that vanishes into your skin! 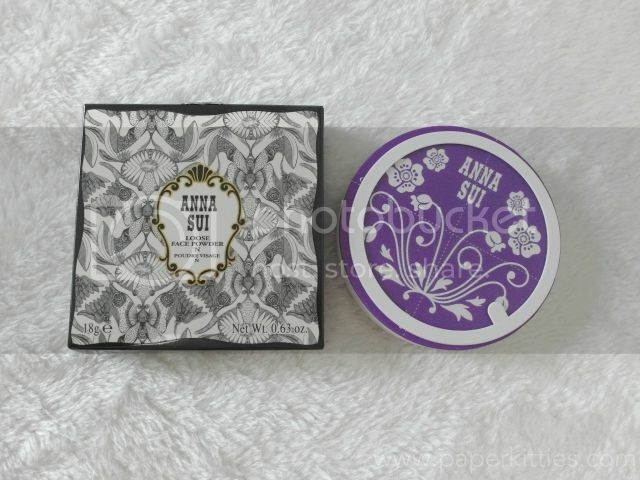 Anna Sui Loose Face Powder N comes in 3 shades: 200 Purple lucent (with silver pearls), 700 light beige and 701 natural beige. I’m using #701 and it basically works as either additional coverage when I’m using my Anna Sui Illuminating BB Cream, or for lazy days when I want minimal fuss-free coverage to give the illusion of smoother skin whilst controlling the shine. Oh hello!! Here I am stalking your blog on a random night, and I see myself!!! ROFLL!! I love this BB too!!! FLAWLESS! !